Universal Primer boosts the adhesion of materials to the substrate. An integral product for smooth substrates where an artificial key is required for binding the materials, the primer contains quartz aggregate to create a textured surface onto which the adhesive layer can bind easily. It is tinted red to enable ease of application and is perfect for ensuring a robust finish. 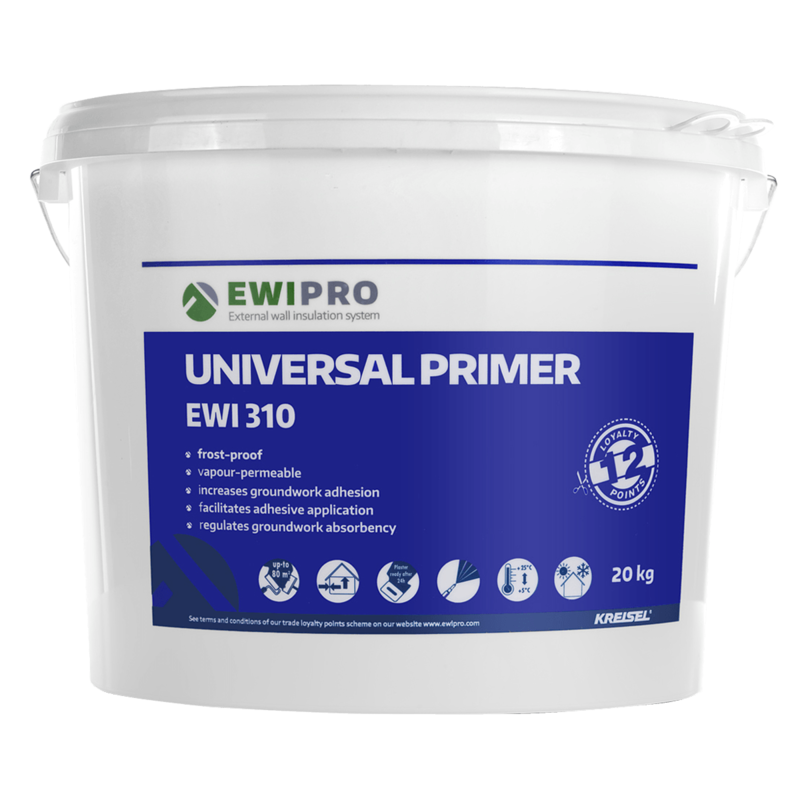 Universal Primer is used to prepare the walls before the application of our adhesives. It improves adhesion of the adhesive to the substrate, facilitating application and reducing groundwork absorbency. The presence of quartz aggregate in the primer creates a strong textured surface onto which the adhesive layer can bind easily. Application and setting temperature: from +5°C to +25°C. Product should be applied in temperate weather and should not be used in temperatures above 30°C. Likewise, if the materials or the substrate are frozen, work should be postponed. Primer should not be applied in rain or humid conditions, or if wet weather is expected before the wash has dried. Drying time is typically 12-48 hours, although this is dependent upon environment and humidity. 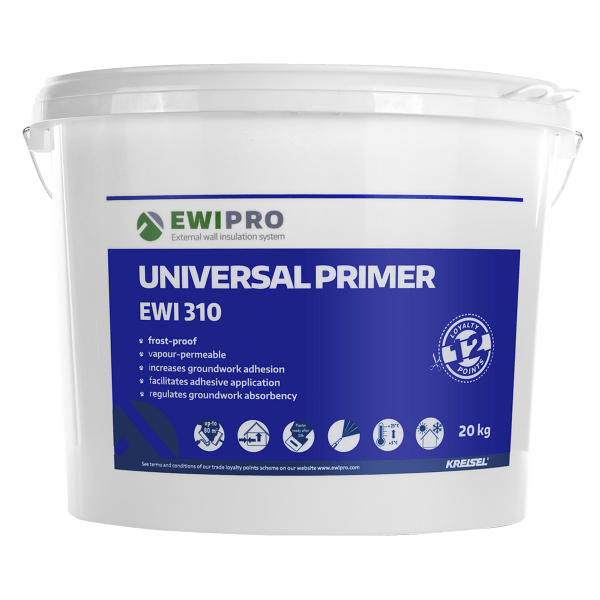 EWI-310 is available in 20kg buckets.